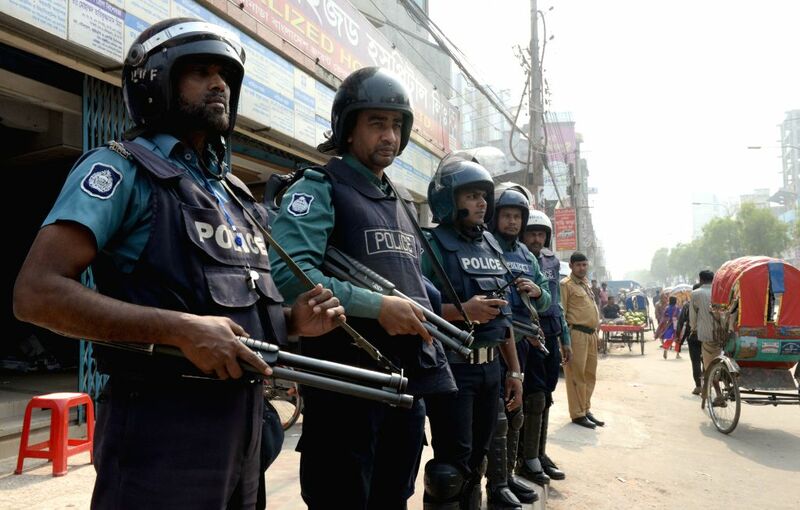 DHAKA, Feb. 8, 2015 - Bangladeshi policemen stand guard on a street during a 72-hour countrywide non-stop strike called by Bangladesh Nationalist Party (BNP) in Dhaka, Bangladesh, Feb. 8, 2015. Former Bangladeshi Prime Minister Khaleda Zia's 20-party alliance has called for a 72-hour countrywide non-stop strike from Sunday morning demanding fresh elections under a non-party caretaker government system. 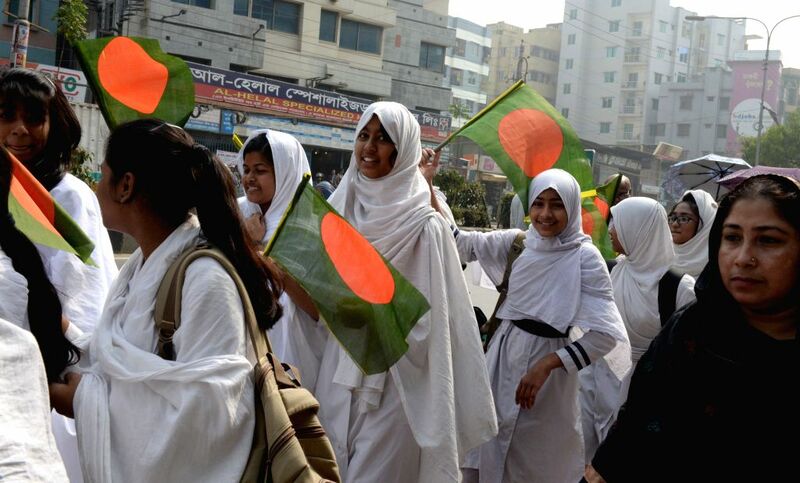 Bangladeshi students form a human chain as they protest against a 72-hour countrywide non-stop strike called by Bangladesh Nationalist Party (BNP) in Dhaka, Bangladesh, Feb. 8, 2015.